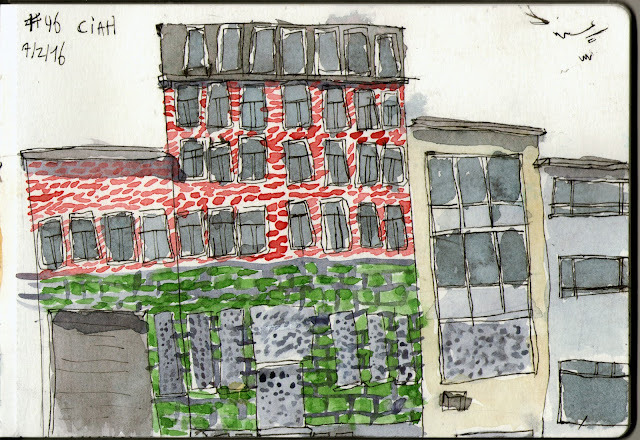 Had to sketch again but it was (again) later on the day so I went to the same old building. Good training to sketch the same thing regularly. Here is the last time I sketched it.